Kendra Tanacea holds a BA in English from Wellesley College and an MFA in writing and literature from Bennington College, where she completed her first poetry collection, If You're Lucky Nobody Gets Hurt, a finalist for the Agnes Lynch Starrett Poetry Prize. Her collection of poetry, A Filament Burns in Blue Degrees, was a semifinalist for the Washington Prize and a finalist for the Idaho Prize for Poetry, and was published by Lost Horse Press in March 2017. Her second book, Garbage Heart, was a semifinalist for the Elixir Press 17th Annual Poetry Awards, the 2016 Two Sylvias Press Wilder Series Poetry Book Prize, and the 2017 Washington Prize. Kendra's poems have appeared or are forthcoming in North American Review, Poet Lore, 5AM, Rattle, apt, Licking River Review, Stickman Review, Barely South Review, The Coachella Review, Juked, El Portal, Flint Hills Review, and Moon City Review, among others. Kendra attended the June 2016 Squaw Valley Community of Writers Poetry Workshop and the 2018 Napa Valley Writer's Conference. In 2017, her poems “Perennial” and “Making Risotto for Dinner When His Ex-Wife Calls” were featured on the The Writer's Almanac. Poet Kendra Tanacea (“A Filament Burns in Blue Degrees”) and baker Christopher DeLorenzo (“Kitchen Inheritance: Memories and Recipes from My Family of Cooks”) will discuss food and poetry in the Readers’ Garden at 1:30 p.m. on Saturday, June 23. Here's the video trailer for my book, A Filament Burns in Blue Degrees. Available from Lost Horse Press or Amazon. or order IT from me! POETRY FLASH, LITERARY REVIEW & CALENDAR FOR THE WEST builds community through literature, providing literary writing, access to literary activities, information, and inspiration to writers and the public through publishing and events. Publication is our primary expression, both online and in print. Steeped in the College's prestigious literary tradition, Bennington's Master of Fine Arts in Writing is consistently named one of the top low-residency programs. 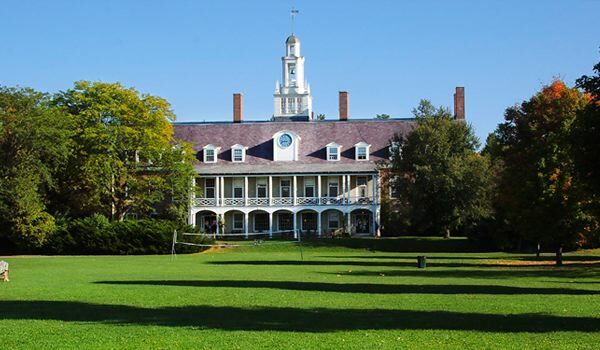 Founded in 1994, Bennington's Writing Seminars was one of the first low-residency graduate writing programs in the country. During this two-year, low-residency program, you commit as much to reading as to writing and conceive reading lists that strengthen and broaden your knowledge. You perform critical literary analysis. You craft bold new works of fiction, nonfiction, or poetry inspired by your discoveries. You finish with a polished thesis and a parting lecture. All this with the expert guidance of authors who, throughout your individualized instruction, become familiar with and develop a stake in your work. ORDER A SIGNED COPY of A Filament Burns in Blue Degrees from me (checks only) Subscribe below for occasional updates on readings and events. Or just write to me!